What Happens When a Junk Car Is Left Sitting? The City of Portland enforces strict rules for broken down old cars. When you end up as the owner of a junk car, you face three possible outcomes. It can be impounded as an abandoned vehicle. It can be stored as disabled vehicle, or you can sell it. 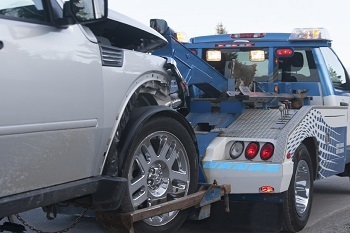 A good junk car removal Portland OR service will tow for free and pay you the same day! Abandoned vehicles left on public property are a nuisance. They are an eye sore that acts as a magnet for vandalism and graffiti. The city has established a hotline for residents to report abandoned vehicles. After a vehicle is reported as abandoned, a notice of warning is posted on it. If it is still not moved after 72 hours, the city tows and impounds it. Vehicles that are not reclaimed are sold to pay fees, and the previous owners may still end up being held responsible for any remaining costs. The rules are not as strict for disabled vehicles, and owners have options. Disabled vehicles are identified with the same criteria as abandoned vehicles. The difference is where they are parked. If the vehicle is on private property, it is considered disabled. These vehicles can be stored in a completely contained building like a garage, but they cannot be left out in the open for more than 7 days. As with abandoned vehicles, a notice of warning is placed on the vehicle to give owners a chance to resolve the problem themselves. If the vehicle remains in view, it may be impounded. Your old car still has some value in it. Even if you cannot afford to repair your vehicle, there is a way to avoid fines and make some cash. Companies that specialize junk car removal in Portland OR, like Cash for Cars, will buy your old car from you and haul it away for free. Instead of upsetting your neighbors, creating an environmental hazard, and facing fines from the city, your car is disposed of properly, and you are completely released from the liability.